The Schaeffler Group has launched its Continuous Caster Bearing (CoCaB) programme, a new service that offers a comprehensive range of bearing solutions that are tailored to the requirements of continuous casting plants. 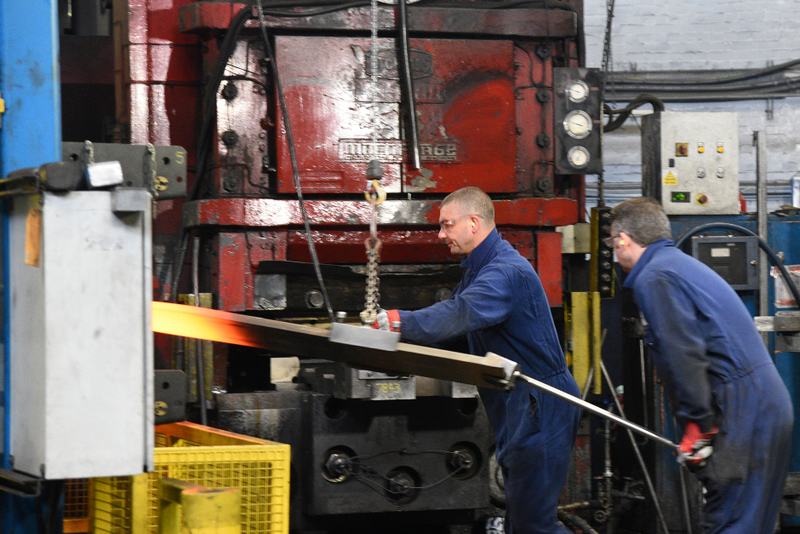 In steel rolling mills, rolling bearings are critical components that support the strand guide rolls on continuous casting machines. During processing, the cast strand is supported and tilted from the vertical to the horizontal by rolls that rotate at low speeds. In order to minimise the deflection, these rolls are supported throughout their length by multiple rolling bearings. The operating conditions in continuous casting plants place very high demands on the rolling bearings. The bearings are subjected to high loads at low speeds and must operate reliably despite high temperatures and water spray. If a bearing fails, production must be stopped and significant downtime costs will be incurred whilst the bearing is removed and replaced. For many years, Schaeffler has worked with continuous casting plants, supplying a range of cylindrical and spherical roller bearings to the steel processing industry, for use in strand guide rolls. The CoCaB service goes a step further than this and offers tailor-made bearing solutions to suit all types of strand guide rolls, including cylindrical and split spherical roller bearings for driven rolls, needle roller bearings for the upper section of the casting machine, as well as special bearings with circulating water-cooled housings. Schaeffler’s new FAG cylindrical roller bearing, for example, combines the advantages of full complement cylindrical roller bearings with the characteristics of spherical roller bearings. Standard non-locating bearings for strand guide rolls normally provide only a compromise solution and are not optimised to meet the high demands placed on them. The new FAG cylindrical roller bearing, however, was developed specifically for this type of application, combining high radial load carrying capacity with axial displacement capability. A special improved raceway profile compensates for any angular misalignment. The bearing is corrosion protected and can be mounted quickly and easily, with no special tools required. Where high thrust loads, misalignment and high radial loads are present, Schaeffler’s FAG spherical roller bearings are recommended. These bearings operate reliably under extreme loads, whilst compensating for shaft deflection and any misalignment of bearing seats. With an improved internal design, these spherical roller bearings now offer better kinematics. Up to an outside diameter of 320mm, the 240 and 241 series bearings have new sheet steel cages. The new cage design ensures optimal guidance of the rollers and there is more space inside the bearing for the lubricant. The temperature-resistant split cage is ideal for withstanding the extreme operating conditions. As spherical roller bearings in continuous casters typically require high volumes of lubricating grease, sealed bearing solutions are often preferred, due to their cost effective, environmentally-friendly appeal. Sealed bearings can reduce the grease volume over the entire life of the bearing by up to 80 per cent. Schaeffler’s service worldwide for the steel industry is supported by FAG Industrial Services (F’IS), the maintenance and condition monitoring company within the Schaeffler Group. F’IS helps customers to reduce maintenance costs and optimise plant availability by offering a range of rolling bearing condition monitoring and reconditioning services.For more information on Schaeffler’s range of cylindrical roller and spherical roller bearings for continuous casting plants, please visit www.schaeffler.co.uk or contact the marketing department on info.uk@schaeffler.com.